Beer is a favorite drink among millions of people around the world. Based on a study, drinking beer reduces the risk of developing kidney stones because it contains potassium and magnesium, which help prevent the development of kidney stones. This type of beverages is made up of 90 percent water, and water is the most powerful tool for the prevention of kidney stones. According to some research, drinking a bottle of beer every day can reduce the risk of kidney stones by 40 percent. 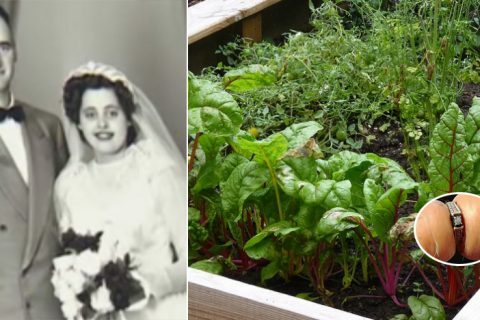 It also reduces the risk of coronary heart disease, atherosclerosis, and heart attack by approximately 30 to 50 percent compared with nondrinkers. 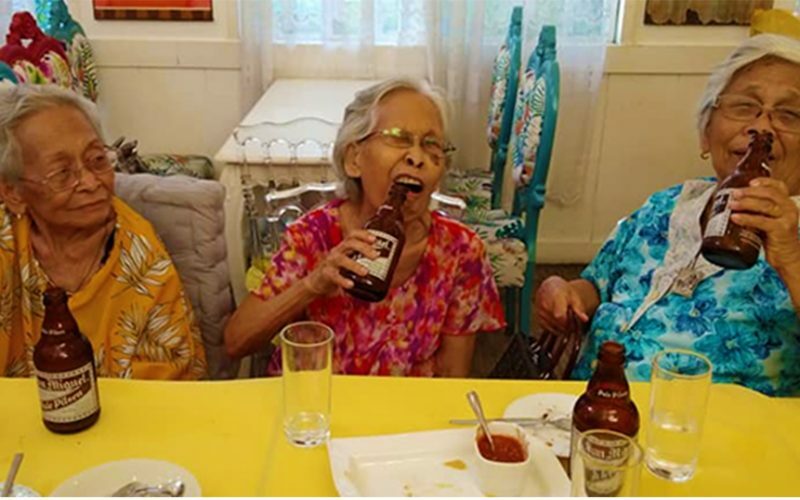 Recently, these grandparents aged 87, 90 and 92 who were seen in a photo while drinking beer have caught the attention of the social media and their story has gone viral. 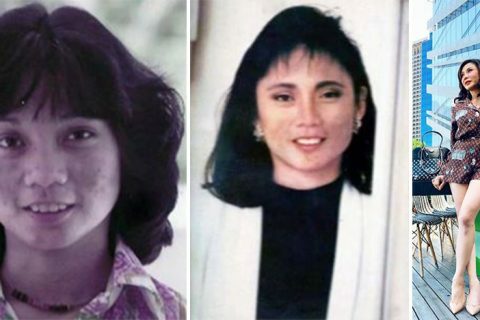 Their unique story was also featured in the GMA Network show, Kapuso Mo, Jessica Soho last December 2018. These grandparents namely, Lola Huling (Julia Pundavela, 92), Lola Edang (Godofreda Busante, 90) at Lola Doring (Teodora Odtuhan, 87) were actually sisters from La Paz, Leyte. 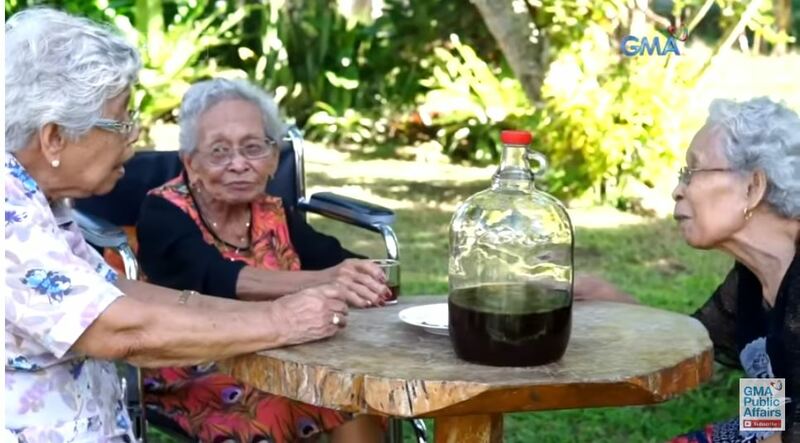 The 92-year old grandmother, Lola Huling remembered the first time she drinks ‘tuba’ together with their cousins. 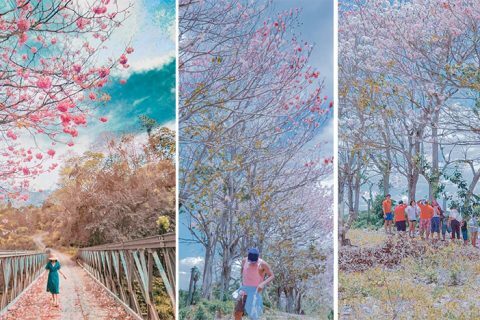 Tuba or coconut wine in Leyte is the product of mixing barok (the reddish bark of the mangrove tree) with the coconut sap, making the tuba red in color. 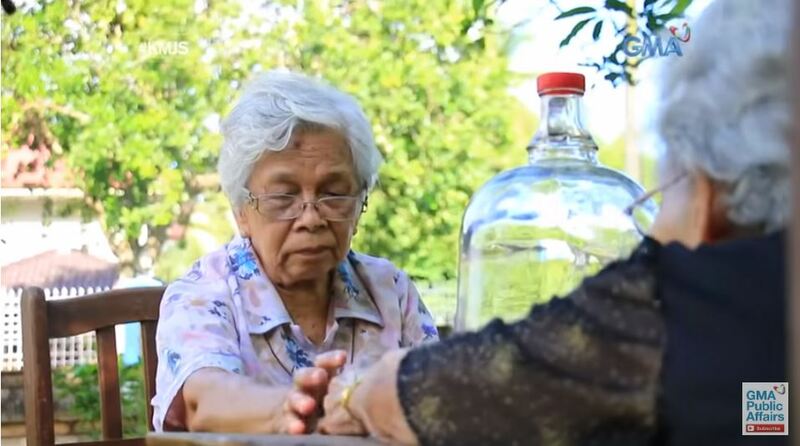 Meanwhile, Lola Edang was already in a wheelchair, but she is still drinking tuba and beer. She also shared that it was her husband, who taught her how to drink tuba. 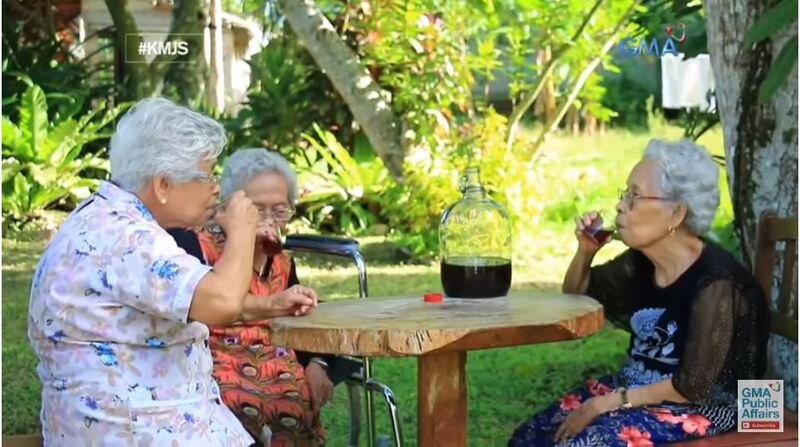 According to the ‘tres marias’, drinking this beverage serves as their bonding moments and the secret of their long life. Beer is a favorite drink among millions of people around the world. Based on a study, drinking beer reduces the risk of developing kidney stones because it contains potassium and magnesium, which help prevent the development of kidney stones. 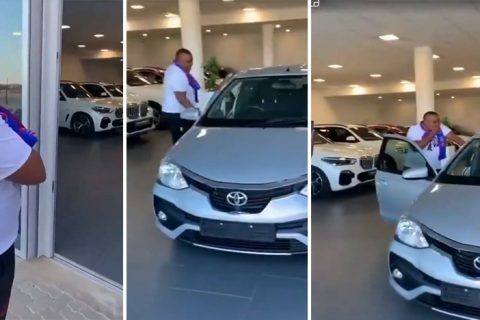 Their unique story was also featured in the GMA Network show, Kapuso Mo, Jessica Soho last December 2018. These grandparents namely, Lola Huling (Julia Pundavela, 92), Lola Edang (Godofreda Busante, 90) at Lola Doring (Teodora Odtuhan, 87) were actually sisters from La Paz, Leyte.